A consultation is equal parts interview and learning experience to explore the possible array of treatments that will work for you in order to achieve the best image of yourself. No two patients are the same, the process of a consultation will provide answers to questions and help you navigate to a well informed decision. 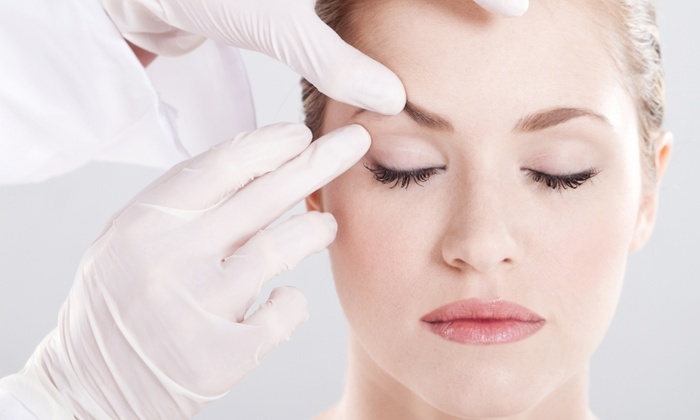 A consultation will also be useful in finding the provider that will not only be qualified to perform your procedure safely and successfully but, is also a good fit for you aesthetic sense and personality. At The Dermatology Center and Rockledge MedSpa, our highly skilled group of providers recommend treatments and procedures that are tailored to target your skin concerns. We help prioritize the treatment(s) that are best for the patient and guide them through their aesthetic process. 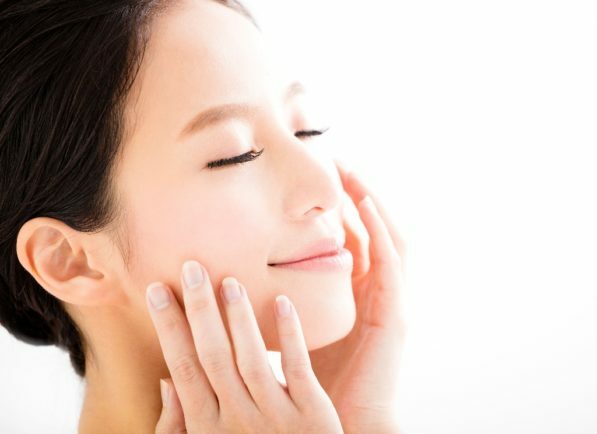 Through the comprehensive consultation, the providers dedicate their time with the patient to discuss all levels of possibilities in order to address their skin concerns, that will ultimately give them the results they are looking for. A thorough discussion of aesthetic and/or medical possibilities for areas of concern. Recommendations of specific treatment(s) from one member of our highly skilled group of providers. Recommended number of treatments needed in order to achieve skin care goals with our Cosmetic Coordinator, Denise West. Discussion of pricing, pre-op and post-op care, as well as scheduling. A consultation fee of $150 is usually collected at the time of scheduling the first initial appointment, however, for the Month of April, The Dermatology Center and Rockledge MedSpa are offering free consultations with Monisola Balogun, NP and Alexandra Weiss, NP. For the convenience of our patients, Monisola Balogun, NP is located at the Bethesda office and Alexandra Weiss is located in the Germantown office. Please take advantage of this special offer and schedule your Free Consultation today! Anita Iyer, MD is a board certified dermatologist and a Diplomat of the American Board of Dermatology. She received her Bachelor of Science degree from the University of Cincinnati, where she worked at the Mead paper and NASA Lewis Research Center. Dr. Iyer completed her medical degree at the Medical College of Ohio. She is recognized for her outstanding academic achievements by the Alpha Omega Alpha Medical Honor Society. She completed her internship at Lahey Clinic in Burlington, MA and her residency at Henry Ford Hospital, Department of Dermatology. She has practiced in both Montgomery and Howard Counties since 2002. Dr. Iyer prides herself in the quality of care her patients receive. She always strives to treat patients with consideration, thorough exams and counseling. She wants her patients to have ample opportunity to discuss their concerns and ask their questions. Dr. Iyer enjoys treating patients of all ages and has focused on general Dermatology, Dermatologic Surgery and Cosmetic Dermatology. Throughout her career Dr. Iyer has enjoyed mentoring young graduates with aspirations to continue to further medical degrees. As a working mom with 2 teenagers, her free time revolves around kid’s sports and activities- ice hockey, softball and music. As a family they enjoy cooking, travel and sampling lots of different cuisines throughout the DC Metropolitan area. On Monday February 4, 2019, Former Miss Universe, Dayanara Torres took to Instagram to reveal troubling news. She announced that she has skin cancer, specifically, melanoma. She is now urging everyone to get their skin checked. In an Instagram post she wrote, “Today I have some sad news... I have been diagnosed with skin cancer 'melanoma' from a big spot/mole I never paid attention to”. Torres also explained that her fiancé had “begged her to get that spot checked” and finally made the appointment for her to get it checked. She continued to share doctors already removed a large area from the back of her knee & 2 lymph nodes at the top of her leg where it had already spread. She is “hoping it has not spread to any more areas or organs”. I’ve heard of melanoma but, what is it exactly? Melanoma is a cancer of the pigment producing cells of our skin (melanocytes). Although it is one of the deadliest form of skin cancer, it is highly treatable when detected early. According to the American Academy of Dermatology (AAD), melanoma rates in the U.S. have doubled over the last 30 years and have continued to increase. In 2019, it is estimated that nearly 200,000 new cases of melanoma will be diagnosed in the U.S.
Several risk factors can make a person more susceptible to melanoma or other forms of skin cancer, including exposure to ultraviolet rays (a.k.a., sunlight or tanning beds), having moles, having fair skin or freckles, and having a family history of melanoma. Skin cancer can affect anyone, regardless of skin color. Skin cancer in patients with skin of color is often diagnosed in its later stages, when it’s more difficult to treat. The best way to prevent skin cancer is by practicing proper sun protection. This means apply generous amounts of sunscreen as well as doing self skin checks for abnormal or changing moles. Dayanara Torres urges her followers on Instagram to take better care of themselves and pay attention to their bodies. "If you see or feel something different in your body, have it checked," she wrote. "I had no idea skin cancer could spread anywhere else in your body." Another thing to keep in mind when performing skin cancer exam is the ABCDE’s of melanoma. According to the American Cancer Society, the best treatment for melanoma is based on the stage of the cancer, as well as other factors, but will often include some form of surgery, immunotherapy, chemotherapy, or radiation therapy. In her Instagram post Torres urges her followers to be more aware of their skin “if you see or feel something different in your body, have it checked”. Be aware of your skin and schedule your skin exam with your local dermatologist today. Early detection is the best way to prevent the cancer from spreading. We at The Dermatology Center have two convenient locations in Bethesda and Germantown as well as evening and Saturday hours. As far as handling her diagnosis, she seems prepared to do whatever it takes for the sake of herself and her two sons, “My sons, although a bit scared, know about my faith and know they have a warrior of a mommy!" Call and Book your skin exam with us today! *Information on www.dermskin.com is general in nature and is provided for informational purposes only. The information is NOT medical advice and no physician/patient relationship is created by virtue of the information provided on Dermskin.com. The content is not a substitute for consulting a medical professional. Please see full disclaimer, here. If you happen to notice a spot that is different from others, or that changes, itches or bleeds, contact The Dermatology Center and schedule an appointment with one of our board-certified dermatologists. 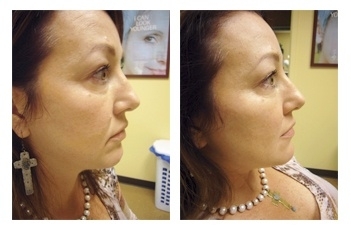 Botox takes on average 5-10 days to relax and see full results, and lasts anywhere from 3-4 months. Some people say they can see a slight difference in a day or two. Most people will be at nearly full effect in one week. It is at its peak of effectiveness in two weeks. What Should I NOT Do After Treatments? Do men receive BOTOX® Cosmetic treatments? Yes, BOTOX® Cosmetic has been clinically evaluated in male patients. In clinical studies for moderate to severe frown lines, 17.5% of patients treated with BOTOX® Cosmetic were men. In the clinical studies for moderate to severe crow’s feet, male patients comprised approximately 10% of patients treated with BOTOX® Cosmetic. Can I Use My Brilliant Distinction Points at The Dermatology Center? Yes! If you have Brilliant Distinction points you can redeem your points at any Dermatology Center location for dollars off BOTOX® Cosmetic, Juvederm XC, Juvederm Voluma XC and SkinMedica Products. Plus, anytime you purchase any participating product or service at The Dermatology Center, you can earn Brilliant Distinction points. Don’t have a Brilliant Distinctions account? Sign up!